The Suzuki GS1000 S is, arguably, not the most exotic machine ever to flow from a stylist's pen! Its looks are straight out of the 'old skool' studio. But what the GS might have lacked in aesthetics, it more than made up for technically! 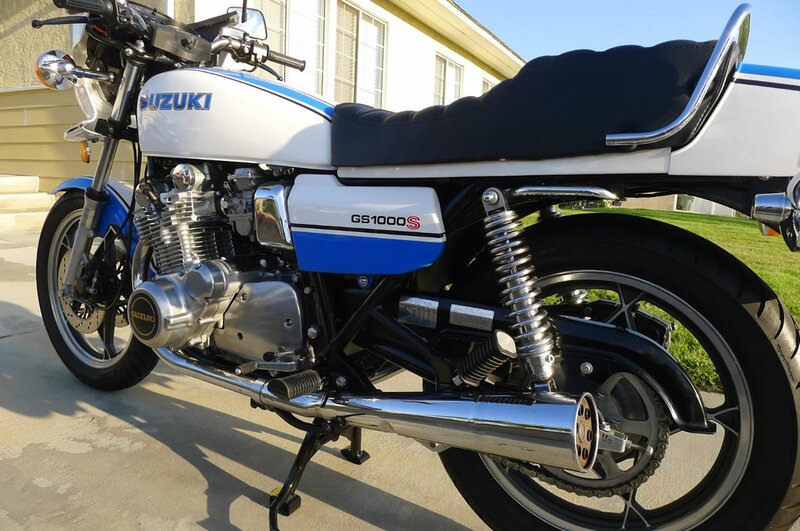 At the heart of the bike's performance was the classic Japanese in-line four-cylinder engine. The GS cruised to a top speed of 135mph. Cornering was solid and stable. Its frame was robust, its suspension adjustable, and its tyres wider than the norm. its dual front disc brakes were more than capable. And anyway, beauty is in the eye of the beholder! For many, the GS 1000 is beautiful because it is big and basic, not despite the fact. The way a motorcycle ought to look, they would say! Something of a wolf in sheep's clothing, then, the Suzuki GS 1000 S seemed a placid beast ... until you twisted its throttle!